Bluebirds and sparrows are some of the most beguiling creatures in existence, and they each have distinct characteristics that leave no doubt as to their differences. Nevertheless, both are obviously part of the entire wonderful avian species with their differences only serving to highlight just how varied the species members really are. This comparison article aims to show the distinctive characteristics of these two charming birds. Bluebirds are insectivorous or omnivorous birds of medium size belonging to the Sialia genus of the thrush family of birds. Bluebirds are in fact one of the few birds belonging to the thrush family on the North American continent. Sparrows belong to the Passeridae family and they are typically small in form. As many as eight species of the bird now live exclusively on buildings and a few varieties are almost exclusively city birds. 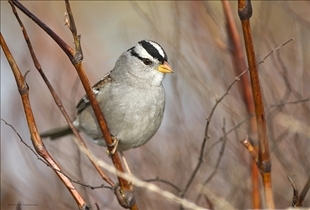 It is thought that sparrows may be the most familiar of all birds that are from the wild. 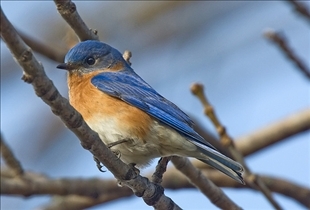 Bluebirds are characterized by their blue plumage, although red markings may be present in certain species. In most cases, the males are a lot more brightly colored than the females of the species, although the color patterns tend not to differ all that much. There is also often no discernible difference between the sizes of male and female bluebirds. Sparrows are small birds that are often brownish-gray in color. They are characterized by short tails and stubby beaks that have a surprising strength. While there are quite a few different varieties of sparrows, they all tend to look pretty much the same. Sparrows are similar in size to other birds that subsist primarily on seeds–such as finches for instance–although they do have an extra outer primary feather as well as an extra tongue bone. Unfortunately, sparrows and bluebirds often come into conflict with one another, although it is the sparrow that does most of the instigating. It is easy enough to attract bluebirds by putting up a birdhouse near a woody area, but you are just as liable to attract sparrows as well. This should be okay in most circumstances if it weren't for the fact that sparrows have been known to kill baby and even adult bluebirds. In order to address this concern, a number of people have been making birdhouses that are specifically made for bluebirds with a slot entrance, as opposed to the circular entrance that sparrows seem to prefer. A birdhouse may also be made “bluebird-friendly” and "sparrow-proof" at the same time by reducing the depth slightly, by using an extra layer of wood if necessary. Which bird is more elegant?